Good Stuff NW: Can Portland Outgrow Hunger? 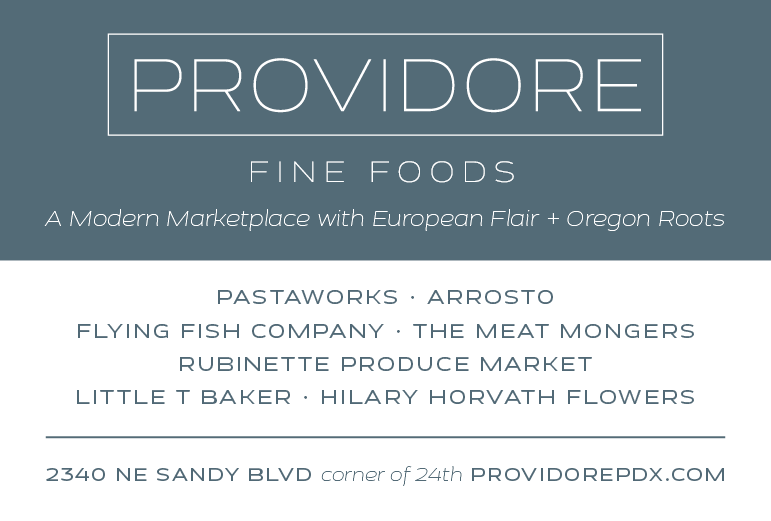 Portland is, without question, among the cities at the forefront of the local food movement in the United States. Wherever I travel, whether across the country or even to outside of it, people have heard of our vibrant food culture. They're floored by the number of farmers' markets we have (more than 60 during peak harvest season), our thriving artisan food scene, the overwhelming number of restaurants featuring field-to-plate menus and the number of supermarkets purchasing produce and artisan foods from local sources. Where we're still challenged is in providing access to fresh, local food to those people on the margins of our economy, who don't have the budget or the experience to make it a part of their diets. We've made some inroads by providing SNAP (food stamp) recipients with matching funds for purchasing farmers' market produce as well as access to CSA shares. 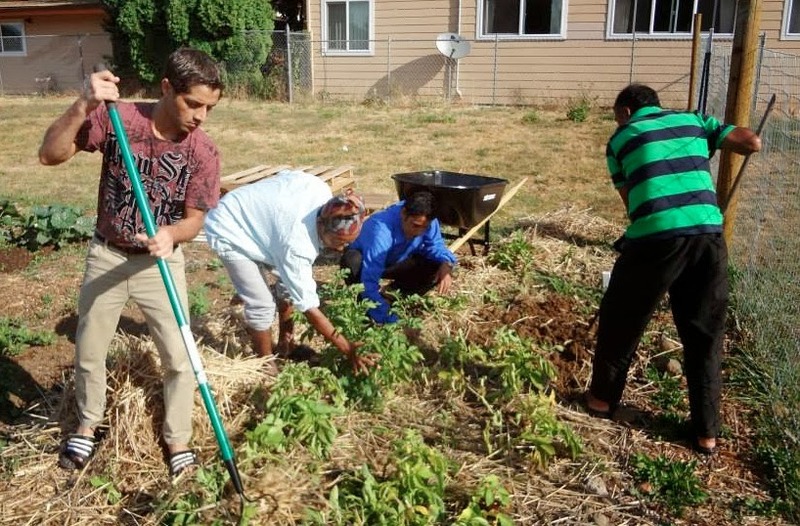 Local non-profits like Zenger Farm, Growing Gardens, Grow Portland and others are committed to educating the public and providing garden space and access to food to low-income and immigrant communities. 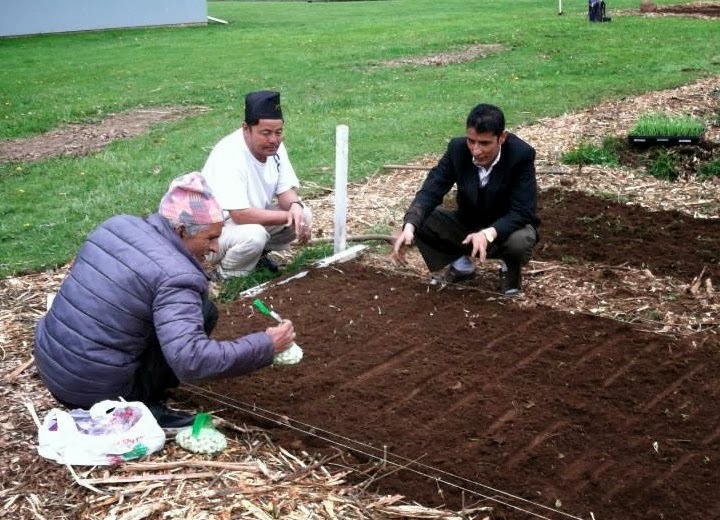 A new local organization, Outgrowing Hunger, is joining the effort to get healthy food to hungry people by transforming unused private, public and institutional land into neighborhood gardens. 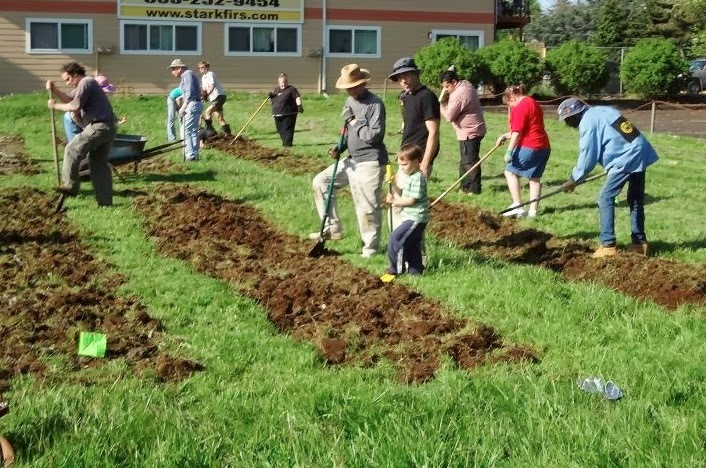 It's already brought neighbors together to turn two locations in Portland's Rosewood neighborhood into productive gardens, providing those who help in the garden a share of whatever is ripe that day, often several meals worth of fresh produce for each family. 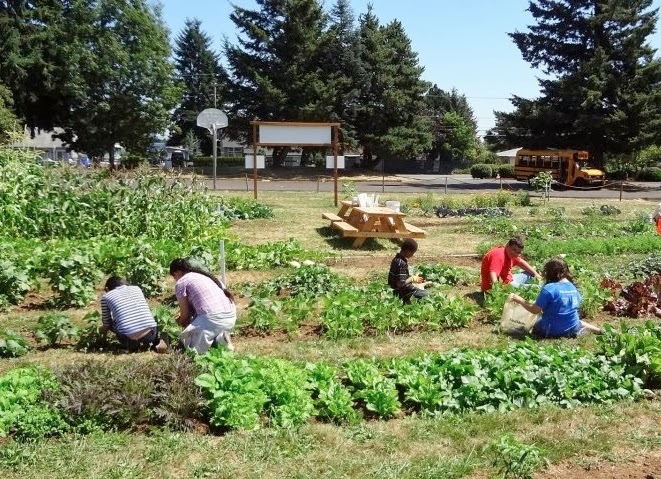 On Saturday, Oct. 26, Outgrowing Hunger is partnering with Slow Food Portland to host an inaugural fundraising event, a harvest dinner cooked by local chefs from produce grown on its projects. It'll be a chance to not only have a terrific dinner, but also to learn about the difficulties and opportunities of serving hungry people and how your support for a wide range of community-based garden projects can make a lasting difference. Details: Harvest Dinner Fundraiser for Outgrowing Hunger. Sat., Oct. 26, 3-7 pm; tickets $25, available online. Event at Neighborhoods Community Garden, 835 SE 162nd Ave. Interesting to hear what Portland is up to on this front. If you're ever in Vancouver/Richmond (BC), you should check out The Sharing Farm. The food that's grown there goes primarily to the Food Bank and other community food sharing programs. Super cool model! (I'm a bit biased, since I'm on the Board, but I'm only there because I think it's cool, so I think that's okay ;-)? Gosh, Surya, I was just up there last week…I'll definitely put The Sharing Farm on my list for the next trip. I did visit with Ian Lai at the Richmond Schoolyard Society and was very impressed with the work he's doing there. Looks for a post coming soon. And thanks!